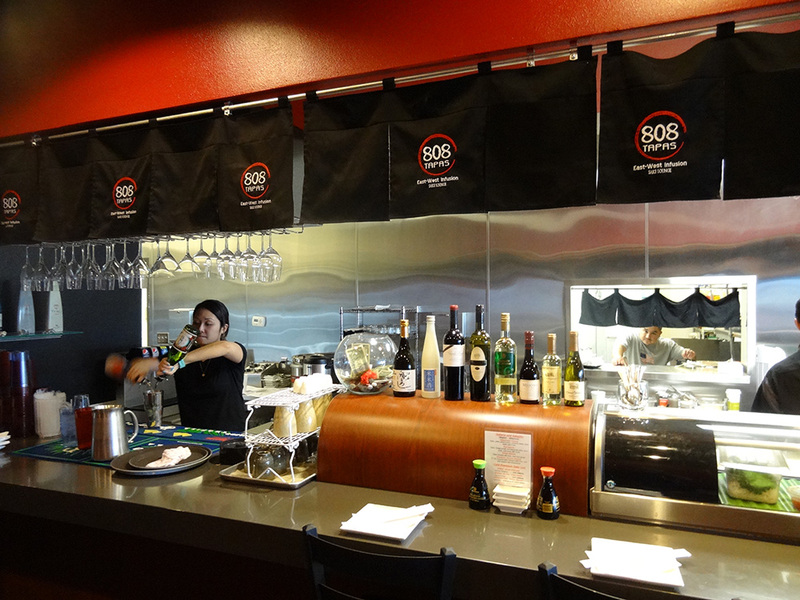 808 Tapas in Summerlin serves delicious Hawaiian-inspired sushi along with Asian fusion, Japanese, various seafood and tapas. 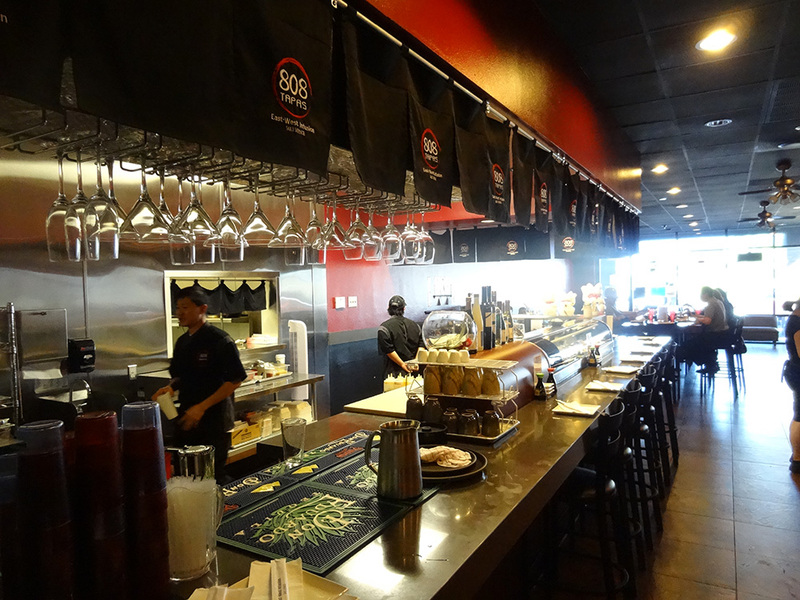 They’re tucked inside the casual yet classy Regal Village Square, next to Cold Stone Creamery and Regal Cinemas. 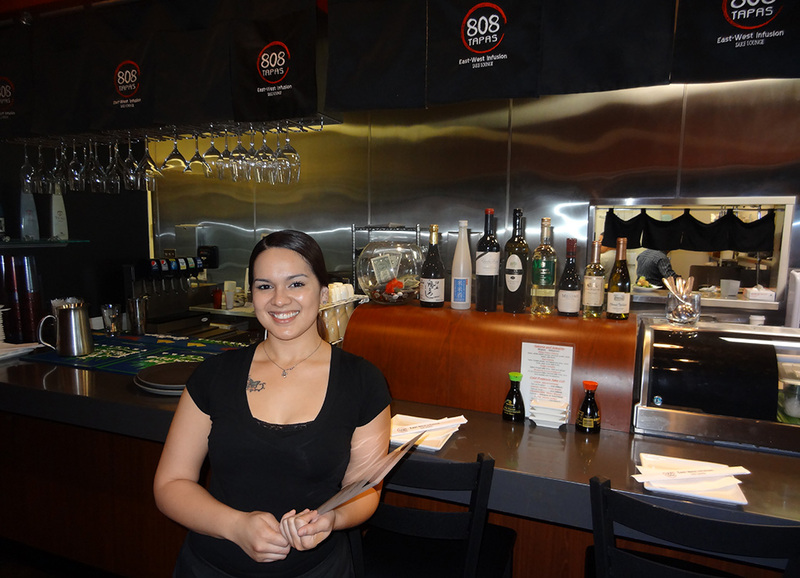 808 Tapas is a Summerlin and sushi gem. I’ve been frequenting this place for over a year. 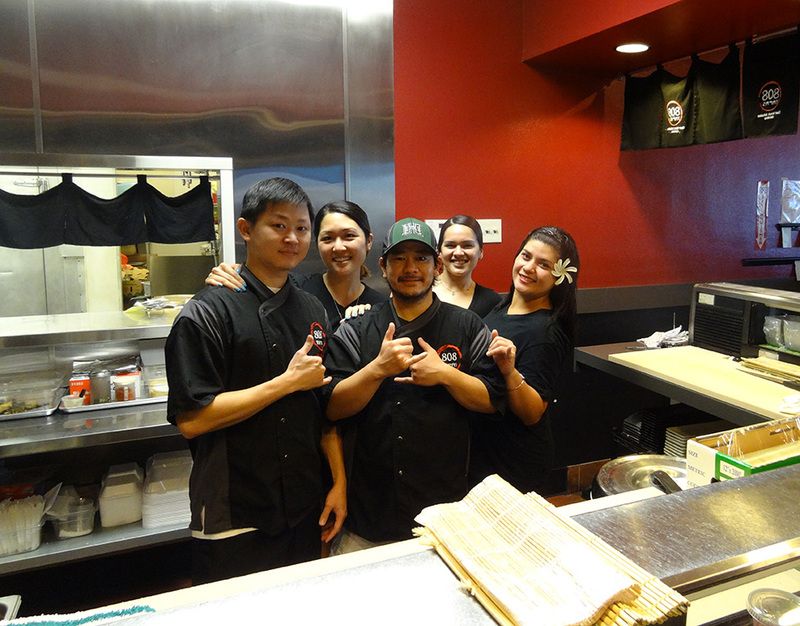 Fun and friendly staff take great care of customers. 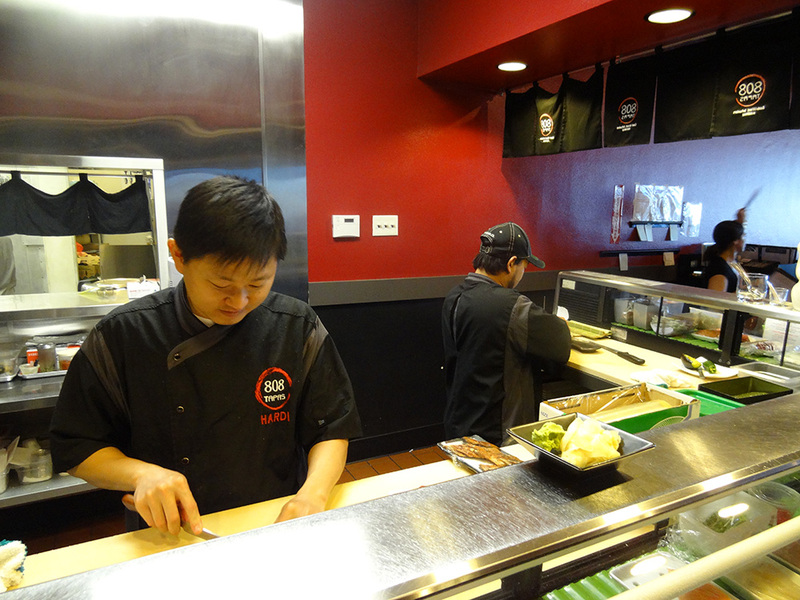 Sushi chefs like Chad put together fantastic, tasty rolls while offering lively conversation. 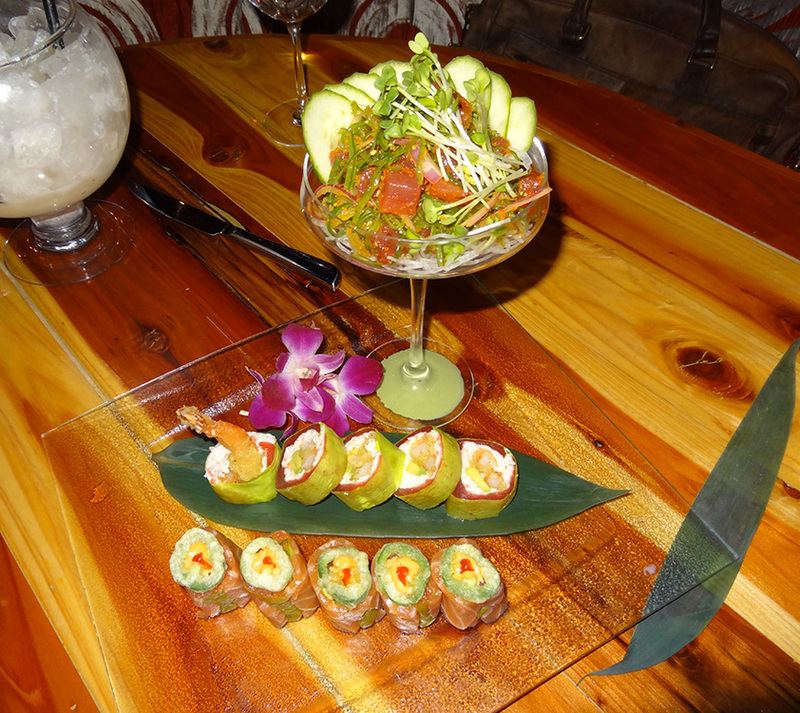 Above is their Kaiser Sushi Roll, a Happy Hour favorite. Snow crab with yum yum mayo, ahi tuna, mango, & ichimi ponzu. 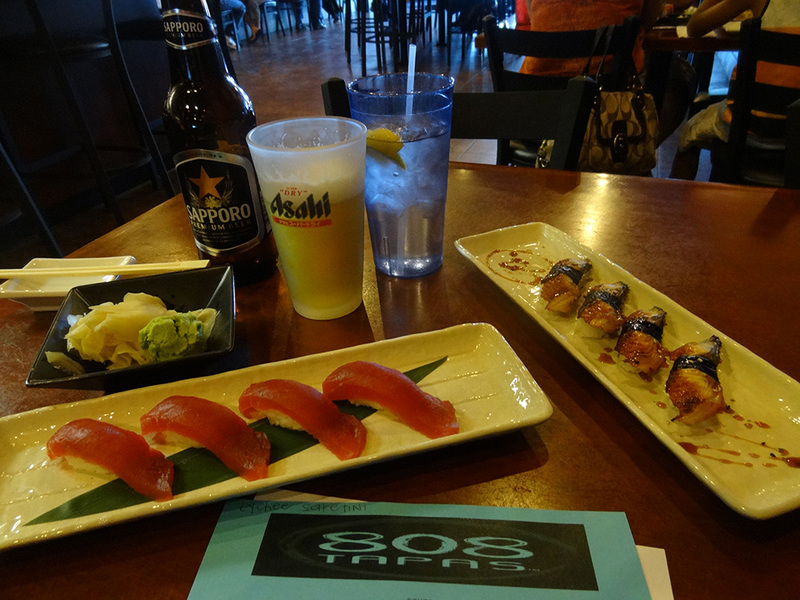 Below is another Happy Hour favorite — 808 Special Sushi Roll. Spicy soft shell crab mix, spicy tuna served with unagi sauce, spicy mayo. 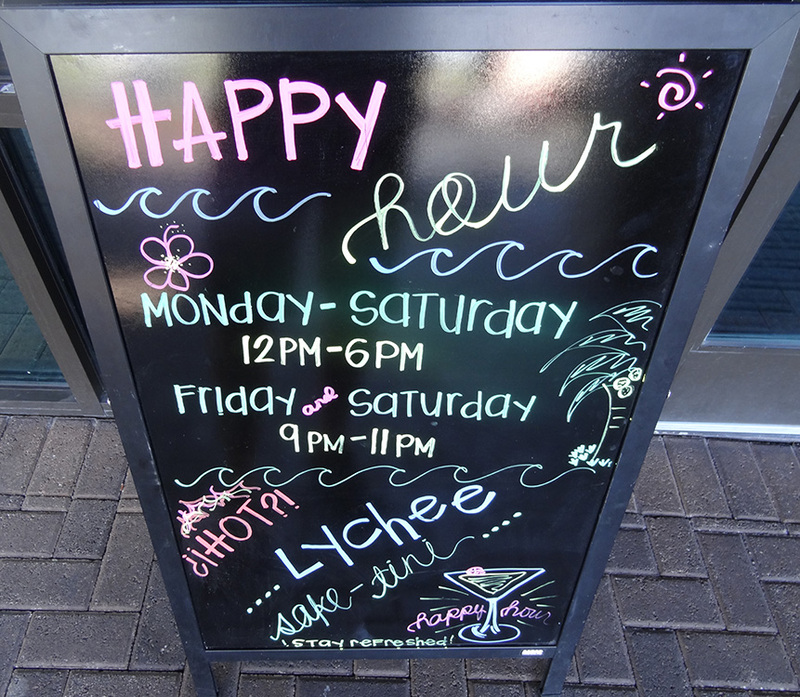 Their Happy Hour rocks! Monday through Friday, 12pm to 6pm. 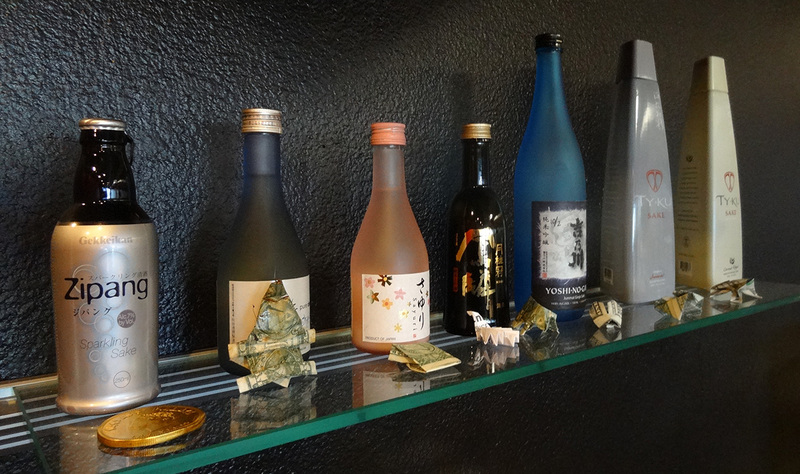 Along with scrumptious sushi and tapas, they serve a wide variety of drinks. 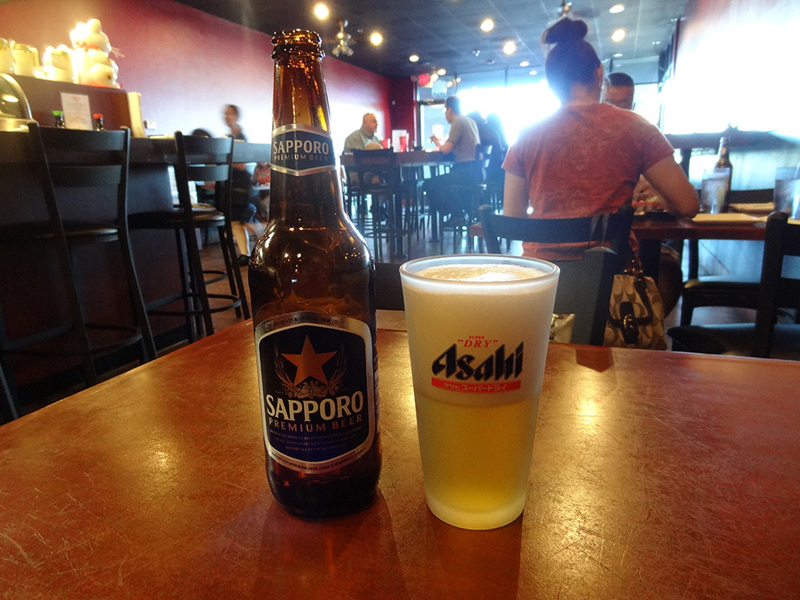 One of my favorites is simple — a cold Sapporo beer in a nicely-chilled glass. 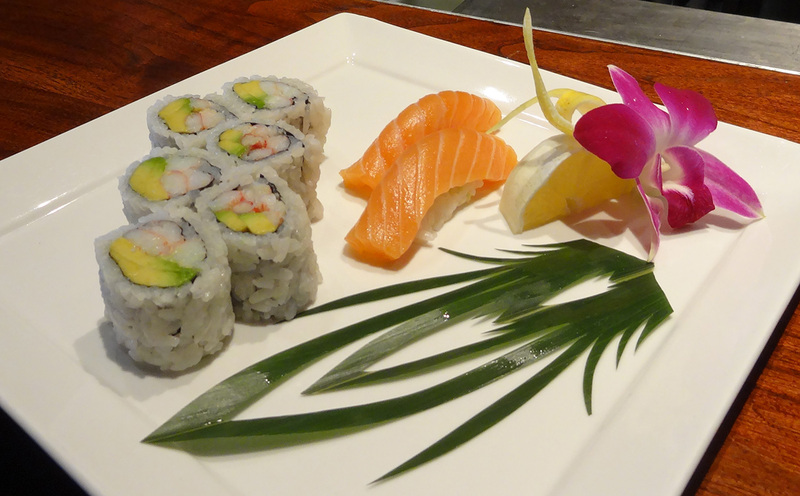 Perfect for summer days and fresh sushi. 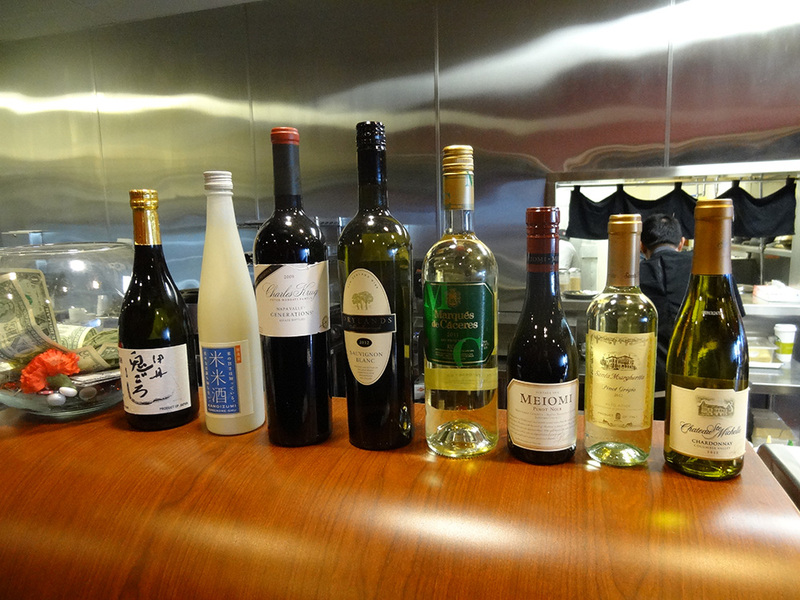 I’m a big sake fan as well, and often order chilled sake. They make fun cocktails and saketinis, too, like their Lychee Saketini. 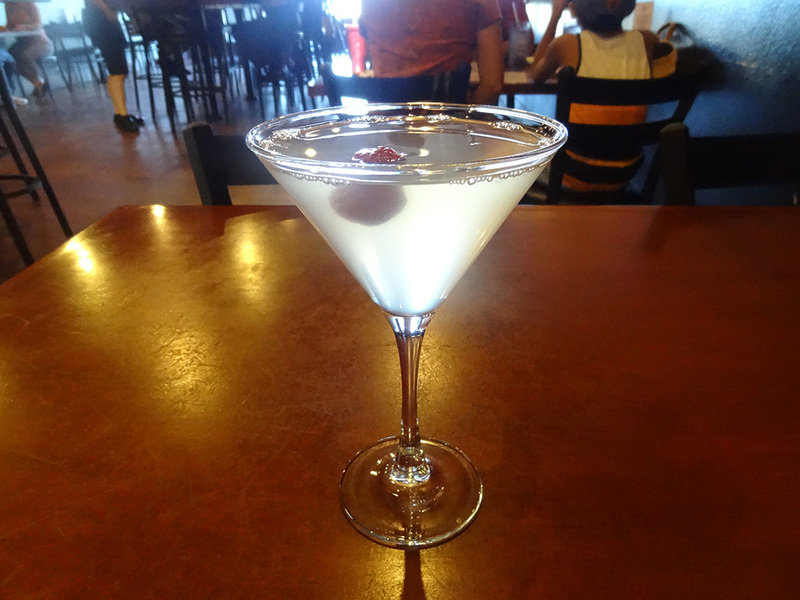 Lychee puree, fresh lime juice, raspberry, and agave nectar. 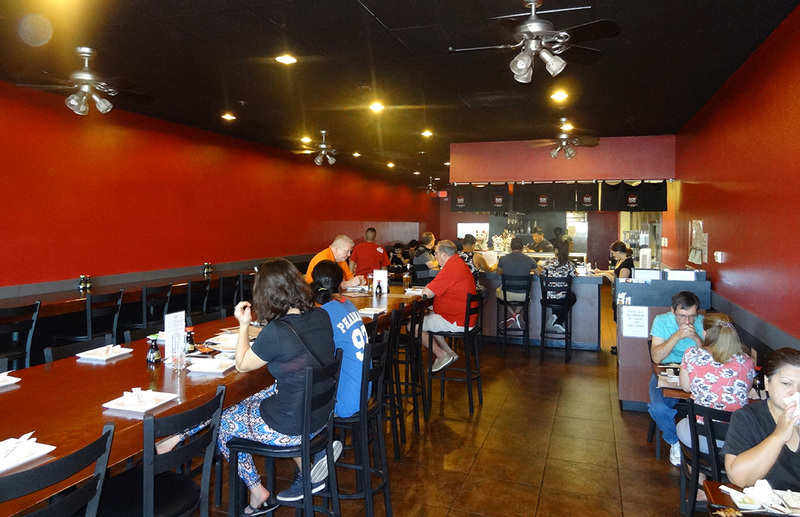 808 Tapas caters to a diverse crowd. I’ve seen first dates, longtime partners, groups of young guys, businessmen, a gaggle of ladies, and couples with children. This place suits almost anyone. 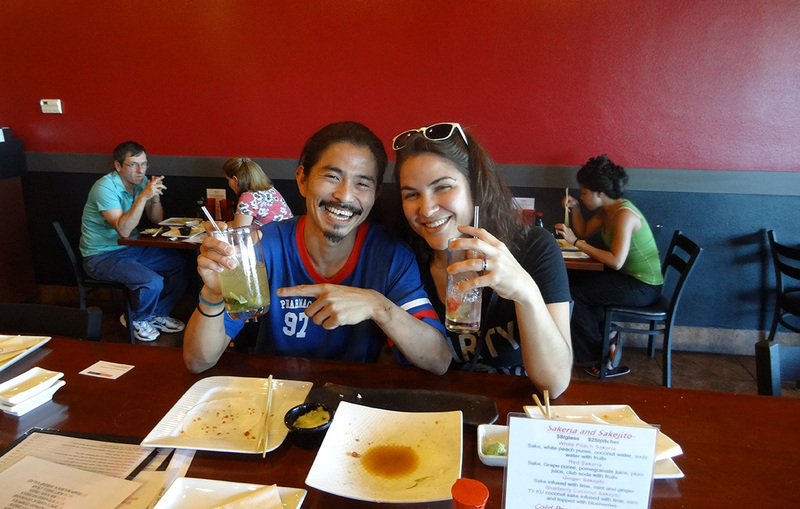 The couple pictured below were having a great time, and finished all their food before I could snap a picture. I caught their smiles though. 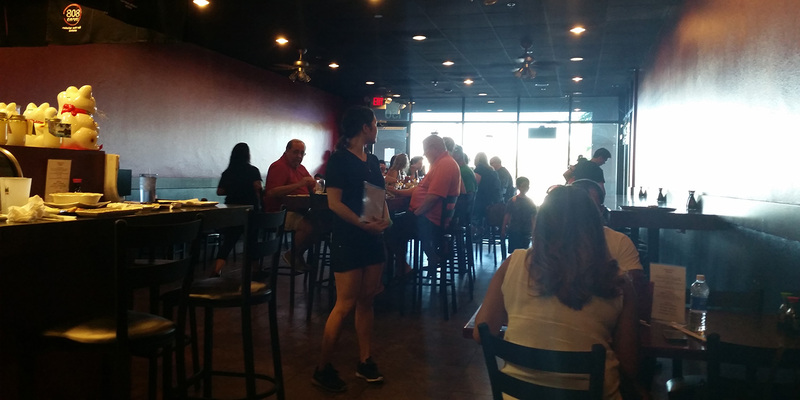 808 Tapas opened over a year and a half ago. As far as I can tell, people are loving it. I’ve had several friends tell me this is one of their favorite spots to hang out with good food and a laid-back environment. 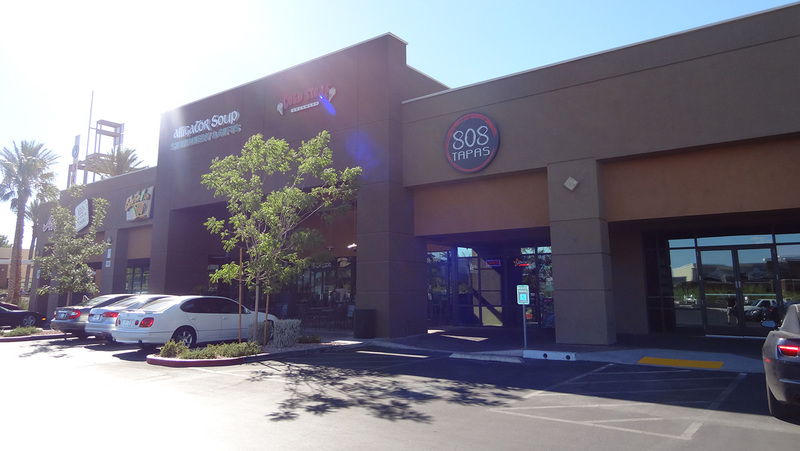 808 Tapas is located in the Regal Village Square Shopping Center, Summerlin, Las Vegas. 9350 West Sahara Avenue, Suite 150. Cross street, West Sahara & Fort Apache. Phone 702-485-3433. 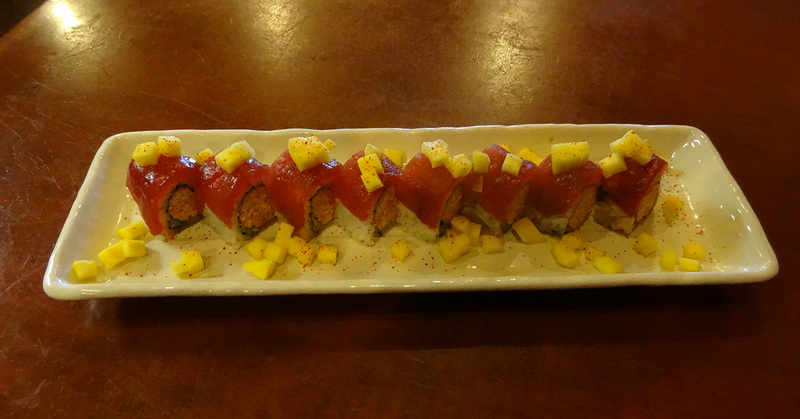 Regal Village also holds Regal Cinemas, so combining sushi with a movie can be a fun night out! When I visit, I almost always order what’s pictured below. 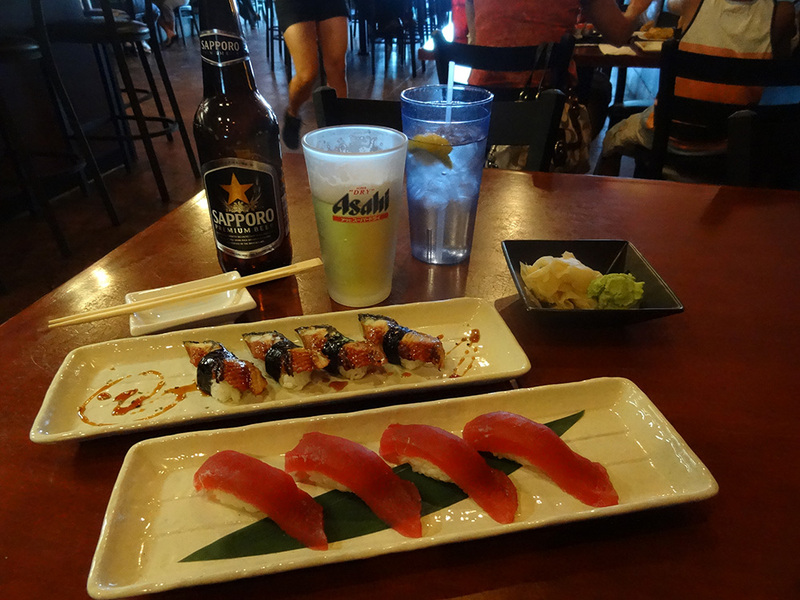 Tuna sushi roll and unagi (eel) sushi roll, cold Sapporo beer in a perfectly-chilled glass, lots of ginger and wasabi. When I find something I love I stick with it. Guess I’ll be frequenting 808 Tapas for a long time to come.